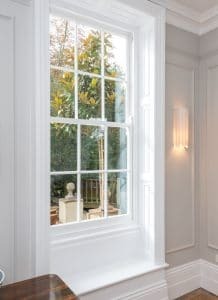 The box sash window is a classic window design that features in many Georgian, Victorian and Edwardian properties throughout the UK. 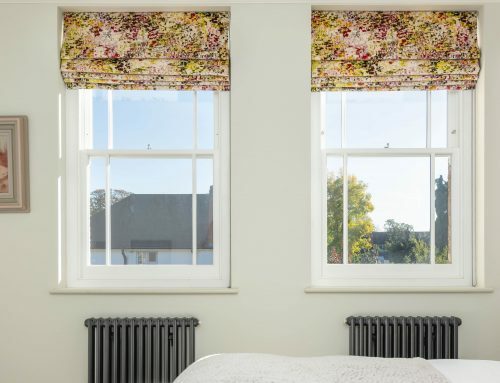 Because of their elegance and simplicity, box sash windows also feature in newer properties or extensions where an architect is looking for simple, clean lines, or to create a traditional look. 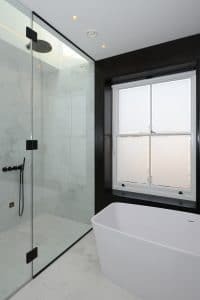 Slim section sizes and narrow profile glazing bars are the key to an elegant box sash window. 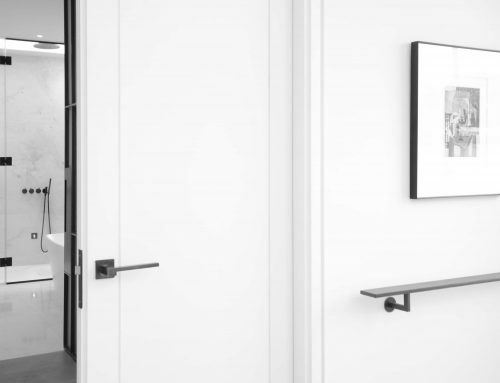 Achieving this look presents a challenge for modern window manufacturers, looking to replicate or keep such slim timber sections, while adding modern improvements such as thermal and sound insulation. 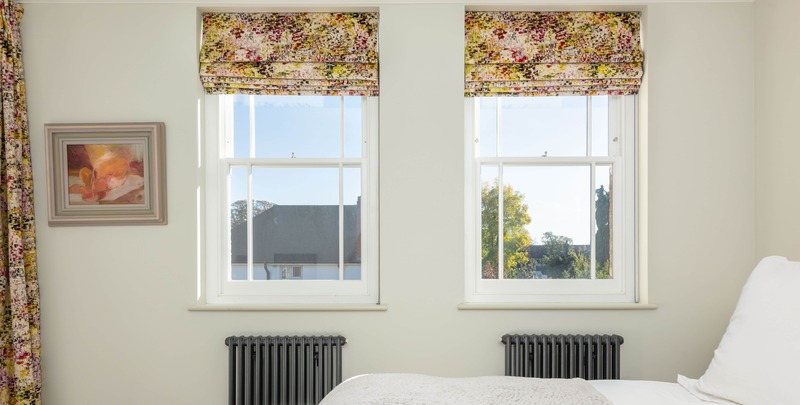 Luckily it is in fact possible to have the ‘best of both worlds’ and keep the slender elegance of traditional box sash windows, even if the window specification is upgraded to include high performance features such as double glazing. At Timbawood we offer a full range of bespoke options for timber box sash windows, and specialise in creating elegant period designs which feature the latest modern security and comfort. Our most popular range for period properties is our conservation range. 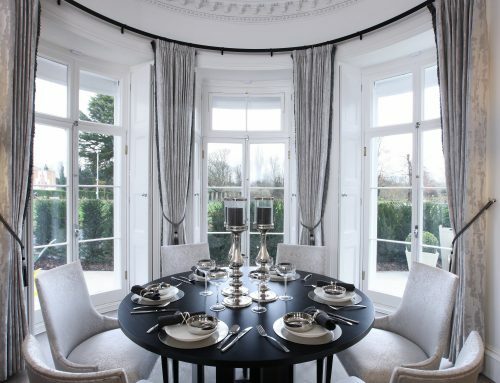 This made to measure range features an array of options including our elegant slimline double glazing that looks just like single glazing, and our most slender profiles, mouldings and glazing bars which can be tailored to match your property exactly. 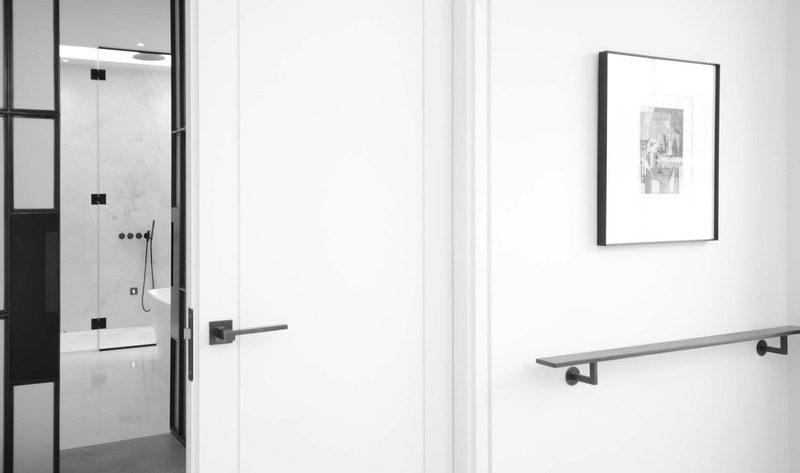 Even though our slimline double glazed units start from just 11mm thick, we greatly enhance their thermal efficiency by using a softcoat Low E pane, warm edge spacer bars and krypton or xenon gas fill. Our sash window box frame depths range from 140mm to 168mm, with bespoke options as slim as 120mm that can meet part L building regulations for thermal efficiency. We offer multiple solutions for replacing box sash windows, irrespective of the check reveal depth. 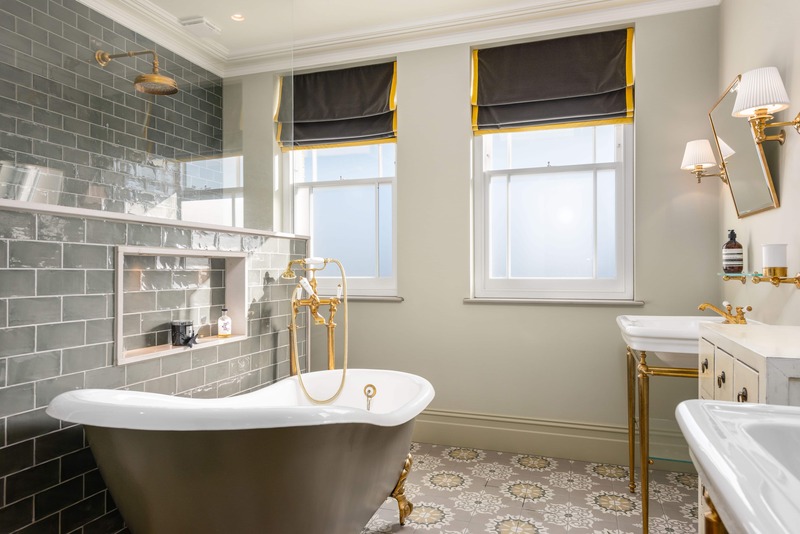 Timbawood is a London based sash window company, specialising in sash windows repair, sash window replacement and part replacement for period, conservation and listed properties. 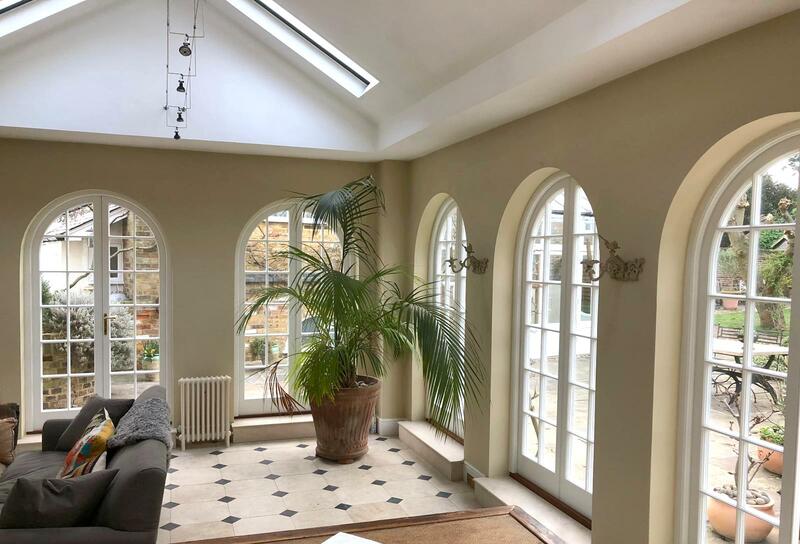 As specialists in bespoke timber windows for listed, conservation and period properties, our timber windows have been approved for listed and conservation properties in over 30 planning authorities throughout London and the South East, including the boroughs of Islington, Westminster, Greenwich and Kensington and Chelsea. 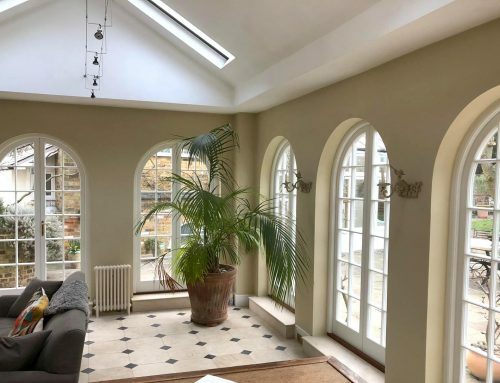 This is because each of our windows are handmade to order, and designed to exactly replicate the original windows in a property, even if they have been poorly replaced in the past. Not many sash window companies in London offer sash window repair and part replacement as well as full replacement. 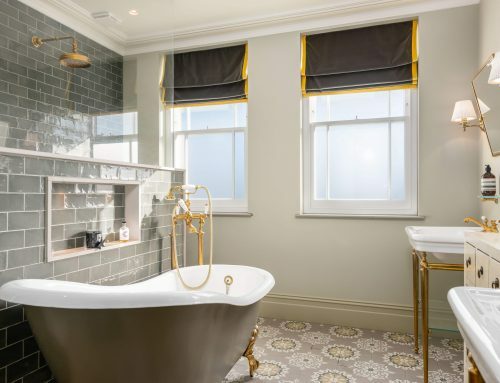 Some of our more complex projects on listed and conservation properties have involved a combination of sash window replacement, part replacement and sash window repair. This means we can retain as much of the original architectural details as possible, and only replace the windows when absolutely necessary. 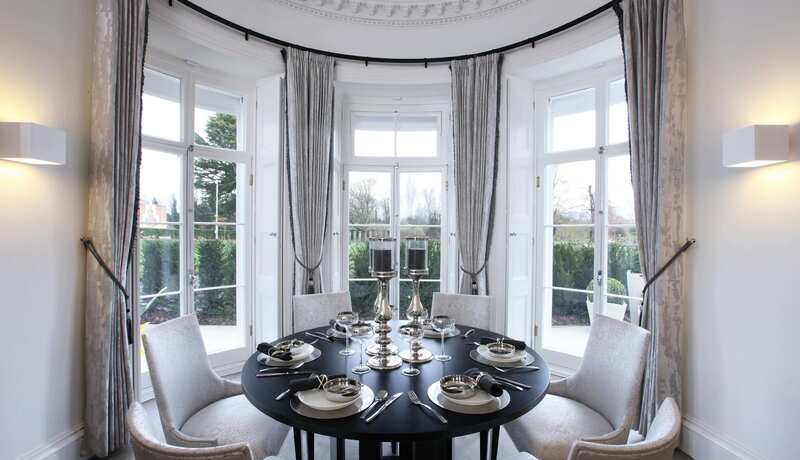 If the window frames are in good enough condition to be kept, for example, we can replace the moving sashes only – replicating the original design with either single or slimline double glazing. For more minor repairs, or if planning restrictions mean that the windows need to be retained – we can retain both the window frames and the sashes, and undertake repair works including draught-proofing, deglazing and reglazing, and repairing sections of timber. This will also reduce the overall sash window prices. Our complete range of bespoke windows and doors include timber casement windows, French doors, Front doors, bifold doors and internal doors (either fire rated or standard). To find out more about the options available, or to get a free quote, please get in touch and we’ll be more than happy to help.